When it comes to money in this economy be very aware of the tricks that unlicensed, inexperienced, uninsured contractors use to get business, at any cost to the customer. 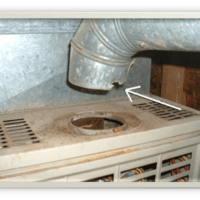 This is especially true when it comes to heating and air conditioning, the result of picking the wrong or cheap contractor can be a threat to your home or your health and safety. The pictures in this post are actual customers asking for our assistance. So how do you spot these inexperienced contractors? Sometimes it is easy and sometimes it takes a little investigating. Installers driving unmarked cars are unusual, sales people yes, they often get reimbursed for ,ileage, however installers and service technicians not displaying signage on their vehicles is a warning sign. You should wonder why are these vehicles unmarked? There are a variety of answers perhaps the contractor is a jack of all trades but master of none, or they don't have the money for detailing (makes you wonder how long they will be in business to honor that warranty). Heating and ventilation is not the area where you want people cutting their teeth in your home. These employees typically do not have a uniform or identification either. To start with you should definitely be suspicious of any bid that is considerably below all the others. Ask the contractor how long it will take to complete the installation or project. If you get conflicting costs and time lines it is time to find out why. There may be a good reason for it. 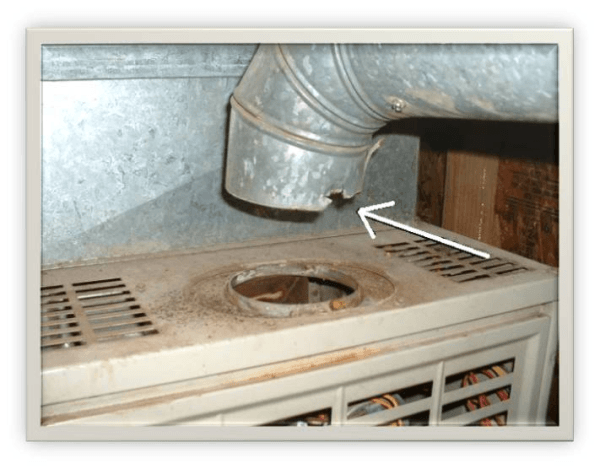 Perhaps they are after the quick money and the company with the higher bid completed a thorough inspection and found that your ductwork has rodents living in it and it needs to be replaced. Removing and replacing ductwork is hard work (and it is less desirable when rodents are involved. 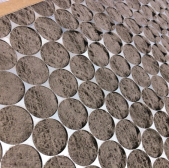 The ductwork change out costs more and takes more time. 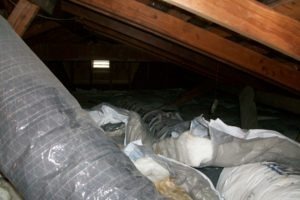 Take a look at the damaged ductwork below that needs replacement. A written warranty is important. The work should be covered for a specific period of time, however I say this with a caveat - we are receiving calls from other contractor's customers where the custoner purchased because of the warranty but the contractor went out of business (these are 10 year warranties). Often times the longer warranty period is a warning sign of despiration. It isn’t easy to find a good contractor. Referrals from friends and neighbors are good, but a referral from a person in another trade is probably better. If you can try to see pictures of the work they completed or see it in person. Contractor photos however, sometimes don’t give an accurate representation of the contractor. Check out the contractor thoroughly. Get quotes from about 3 contractors, it has been our experience that more than 3 confuses the customer and it is harder to keep track of what the differences are. Narrow your search to three before scheduling the appointments. A good contractor may take a small deposit for the work before the start, but paying all of the money up front takes all of your power away. Don't trust any contractor that demands or even suggests this. There is no reason to pick someone blindly or someone without experience. There are ways of reducing the chances of a problem by checking out the contractor before you hire them. 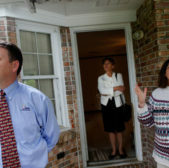 When possible, ask your friends and family to see if they have any experience with a specific contractor.